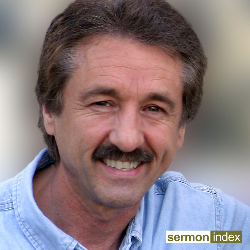 Ray Comfort is a New Zealand-born Christian minister and evangelist. Comfort started Living Waters Publications and The Way of the Master in Bellflower, California and has written a number of books. Comfort says that evangelism is the main reason the Christian Church exists and that many of the evangelistic methods used over the last century have produced false conversions to Christianity. Comfort often uses the Ten Commandments to speak about sin before presenting the gospel of Jesus. In the mid-1980s he formulated two sermons entitled "Hell's Best Kept Secret" and "True and False Conversions." Listen and subscribe now to the best Christian podcasts today from podcasters just like Ray Comfort. These popular Christian podcasts are available to listen to and download for free on Faithplay. Faithplay is filled with more episodes from Ray Comfort and other top Christian podcasts. Download Faithplay today and start listening!